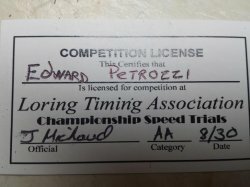 Ed Petrozzi, one of our street turbo customers, has a passion for speed. 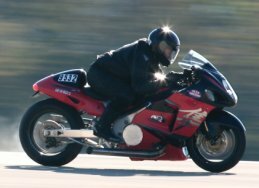 POWERHOUSE built this Super Ultra Turbo Hayabusa - the entire engine done with Carrillo Rods and Wossner pistons, 1/2 " studs, Robinson transmission with heavy duty output shaft, etc. 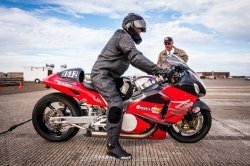 , and the bike tuned up to 24 pounds of boost, which resulted in 454 rwhp and 232 mph at Loring, breaking the previous record on one of his first times out. 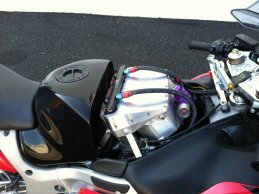 Ed added a lot of nice touches, including the custom tank, which helps him get low on the bike and out of the wind. 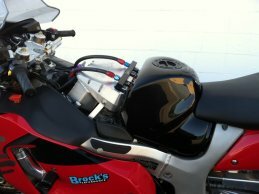 POWERHOUSE will be tuning this bike up to 35 pounds of boost and encouraging Ed to take it up to the rev limiter at the next event . 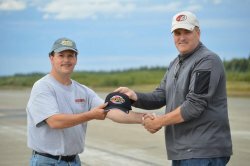 . .
Ed went out and was the fastest vehicle - car or bike - at Loring Air Force base in Maine in their last TWO land speed racing events. 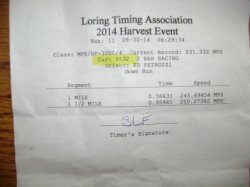 First one, he went 244 mph, and this last weekend (labor day) he went 250! !